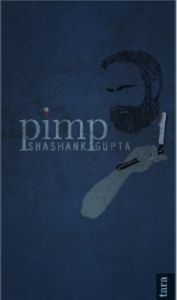 By: Shashank Gupta means 'Moon Secret'. His mother thought naming hervery dark third-born so would mysteriously lighten his complexion.This has not happened in 49 years. Instead, his career has waxed andwaned like the moon. After attending boarding school in a beautifulhill-town, he learnt to look a... View More Shashank Gupta means 'Moon Secret'. His mother thought naming hervery dark third-born so would mysteriously lighten his complexion.This has not happened in 49 years. Instead, his career has waxed andwaned like the moon. After attending boarding school in a beautifulhill-town, he learnt to look at the workers on his father's farm withutter disdain, but want of good grades pushed him to horticulture.Two months into his PhD, he revolted and bolted, choosing to work onthe blessed farm. And then 6 years of growing-cutting-growing cropsand the bleak prospects of gentlemen farmers in India, made him runaway to Mumbai at 29. He went on to become a copywriter inadvertising at the very bottom of the ladder and took 7 years and someterrible campaigns to be called a creative director.